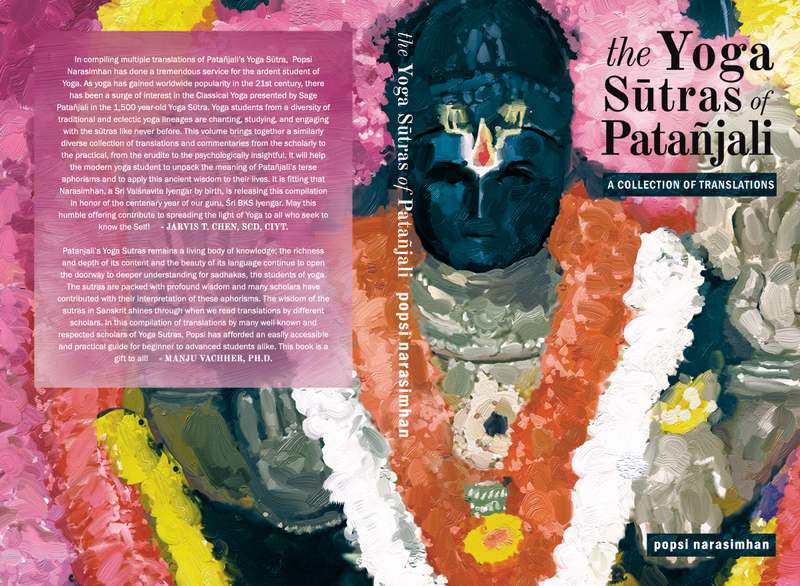 ​This is a collection of translations of the Yoga Sūtras of Patañjali from multiple authors. Translations for each sūtra from authors B.K.S Iyengar, Edwin Bryant, Jaganath Carrera, Chip Hartranft, Georg Feuerstein, Ravi Ravindra, Swami Satchidananda, Swami Vivekananda and Swāmi Hariharananda Āranya are juxtaposed so it enables the reader to compare and contrast the different ways each author translated it. This makes studying the sūtras easy and interesting for yoga practitioners! ​All proceeds from the sales of this book are being dedicated to Guruji B.K.S. Iyengar's Bellur Trust, in celebration of his birth centennial year. For shipping outside the US, please email me.